The company Infinity has shown the world how to use technology from different spectrums, for many purposes. The company was started in 1986 in America and today, they are a part of the Harman International Industries. Here’s how they revolutionize the industry. Car audio market through their subwoofers and amplifiers. Secondly, Infinity’s founders and engineers have experimented with many new methods. The founders used weapons technology and applied it to speakers to invent the Servo-Static speaker. These and other feats led to the development of a strong competitor in the audio manufacturing market. 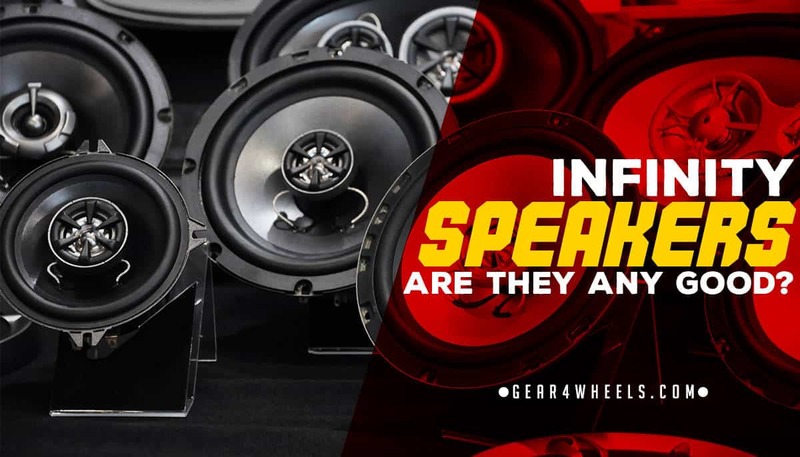 Vehicle owners are bound to find a few options for their specific brand and model, among the various speakers Infinity manufactures. Today Infinity should be one of your options when considering upgrading your vehicle’s sound equipment. They didn't make it into our list of the best car speakers of the year (check it here) as there are better choices for the top 10, but they're definitely a solid choice. The Kappa range offers you a range of coaxial speakers. The look of these speakers incorporates both a modern and classic approach, as they’re all a sleek black. Some of the items in the series are uniquely shaped, so you must confirm whether they will fit into your car, or require customized boxes. The Infinity Reference X series is designed to offer Infinity’s signature sound to almost any vehicle owner. Thanks to the wide range of items, most vehicle owners can find an item that’s in line with their requirements. The series includes grilles to help you effortlessly install your ideal sound system and keep it safe from damage. Infinity owns the patent for this system, so you won’t get it anywhere else. The ultimate benefit of the Plus One system is that high frequencies can be better dispersed throughout your vehicle. All speakers in this range are multi-element speakers. These 6.5 inch speakers from the Reference X line offer great performance and value for money. Their 2-way configuration helps deliver better SQ. You can easily replace your OEM speakers, because they snugly fit into existing compartments, or require only minimal customization. If you do need customization, Infinity provides you with brackets so you can mount the speakers in many different types of openings. You also get grilles, so no matter where the speakers are, they’re protected and the installation will look neat. Even if you have to build a box, this template is included in your purchase. An essential aspect of good sound is whether it can be projected from the correct angle. These speakers utilize Infinity’s invention of UniPivot, which allows you to adjust the dome tweeters. You can make sure they’re angled in the exact position that affords you clear sounds even when it’s playing at high volumes. This means that no matter where your speakers are installed, you can aim the tweeters in your direction. If you only have space where sounds may get muffled, you can still have the speakers set up so quality sound waves reach your ears. The features of the tweeter further extend to its level control. Depending on your preferences when it comes to the brightness of music, you can set the tweeter to an acceptable level. Bass blockers also help prevent distortion and improve sound quality. You’re assured of using these speakers for a long time, thanks to sufficient protection via rubber surrounds in the woofer cone. If something does go wrong, you’re covered by the 1-year warranty that comes standard. This speaker has a remarkable frequency range, starting at 45 Hz and running through to an amazing 35 kHz. This means most of the sounds you love to hear will clearly come through on these speakers. This range must be supported by quality components for the sounds to be as clear as they are vast. Grilles for speaker boxes are included with your purchase. These 5.25 inch speakers belong to the Kappa Series, and although poor on bass, deliver loud and clear tones on the mid and high frequencies. Firstly, you benefit because the engineers didn’t install the customary W-shaped dome, but instead an edge-driven one. This enables the speaker to produce smooth high frequency sounds. You can see the trouble they went to in order to perfect this when you look at the speaker’s frequency response. Infinity uses their UniPivot system in this speaker, which enables you to angle the tweeter towards you, no matter where the speaker is installed. This enhances the quality of the high notes you hear. For the car owners who love hearing—and feeling—bass sounds, Infinity uses a quality woofer. The glass fiber unit keeps its shape throughout, so your bass tones are always clear. The feedback on these speakers is nothing but positive. Even though they don’t offer the most extensive frequency response range, the speakers emit powerful, clear sounds in the range they’re designed to. They're a good budget choice for those who aren't too concerned about bass, and are looking for good sound quality. You can simply add a subwoofer if you’re in search of more extensive bass sounds. Installing these speakers is easy, though some cars will require minor modifications. If you don’t want to bring permanent change to your vehicle, you can simply modify the speaker holes. After that, you should see they fit perfectly. Thanks to the strong polypropylene used in the cone and the protective butyl rubber surrounds, you’ll enjoy long-term service from these excellent speakers. This means in each Infinity speaker you install, you’ll have the benefit of quality sound and durable parts. They consistently create stunning looks for their speakers, so you’ll love how your car looks and sounds after installing Infinity speakers.